Our standard 70 lb. white paper is a high-grade, elegant stationery paper with a white wove finish. 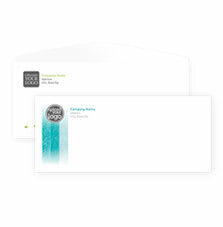 It is our most popular envelope paper for businesses and nonprofit organizations. 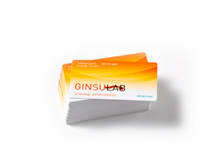 This stock is available for square flap and regular business envelopes. It is also compatible with laser and ink jet printers. 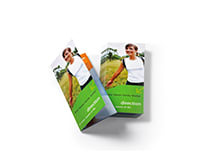 Envelopes are every bit as important as the materials contained within them. Professionally printed full-color envelopes bring a luster to your corporate correspondence and direct-mail communications unmatched by desktop printers. Envelopes should be designed to match your letterhead in a corporate setting and motivate prospects to open and read your sales letter in a direct-marketing setting. 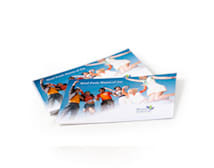 Whether you need 25 or 50,000 envelopes printed, you'll get high-quality printing at a low price. Our custom envelopes are produced on state-of-the-art printing presses that undergo daily color calibration, ensuring you receive the best possible envelopes at an unbelievable price. Our envelopes are printed on the best paper in the industry, including smooth creamy white linen or brilliant white linen, and comprised of 30% post-consumer waste. We can even mail your envelopes and printed marketing materials for you with our mailing list and direct mailing services.